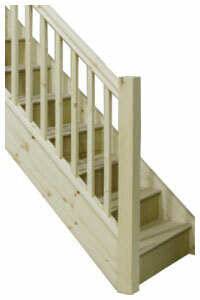 EdgeLam Engineered Pine Stair Stringers - Superior quality material over inferior Whitewood. Ready to Install - Top Cuts and Foot Cuts are complete ready for Installation. High Quality Construction Process - Premium Screwed Anti Squeak Glue Block to Riser detail. Traditional Wedged Tread and Riser detail. 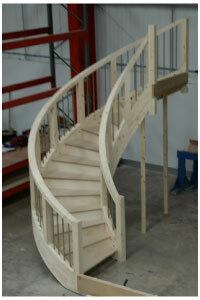 Contact us for the best prices on made to measure straight staircases.These prices exclude delivery. 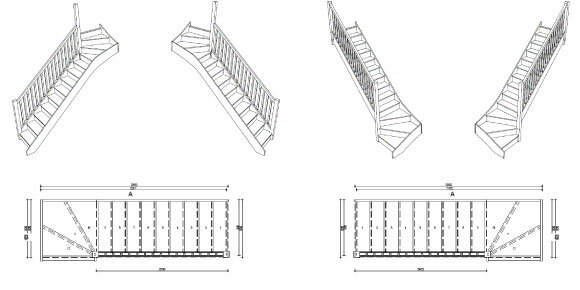 We offer a selection of Standard winder staircases with savings over our Made to Measure Staircases, these are available with the standard 2600mm floor height. 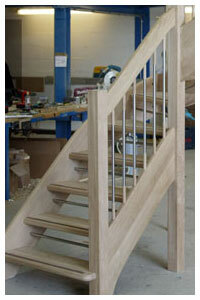 Order Online - You can also order made to measure straight staircases online. 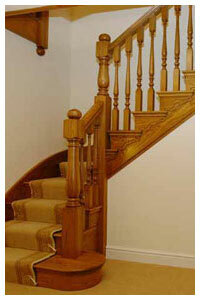 Straight Oak Staircases to order online - Phone 01952 608853 and ask about the new Oak Straight staircase offer . 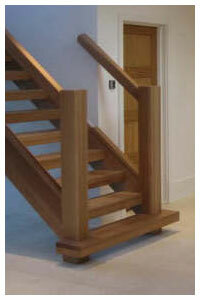 Offer applies to straight closed string staircases only - Our Lowest Ever Pricing for Oak String Staircases !!! 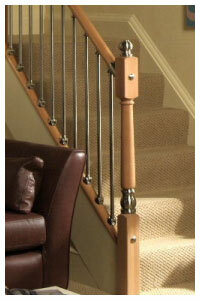 To see the wide range of Spindles, Newel Posts, Handrails and other stairparts we offer look on the Stairparts Page. Links - Staircase Terminology - Rise and go Chart - Winder Staircases - Openplan Staircases - Spacesaver Staircases - Contact Details - Our Workshop.